As a lot of you know by now, Essence is one of my favourite, high quality, low cost cosmetics brands out there. If you're on a budget, you'd be hard pushed to find a brand better to cater to your needs than Essence. Their nail polish range is a particular fav of mine - I don't feel guilty when picking up a few new polishes in my local chemist due to the fact that they cost a mere €1.79 - yes that's right, less than 2 quid guys! Can't go wrong with that! Essence nail polishes are about to get a revamp however - out with the old, in with the new, all that jazz! The next generation! From August 2012, essence will be presenting a completely new and innovative colour & go nail polish range. The new and super stylish color & go nail polish range which prices at a mere €1.79 will come in a new and stylish bottle this summer and a total of 44 gorgeous colours. The new range is intensive, long lasting and has an extremely short drying time so perfect for anyone on the go, busy mums, last minute change of wardrobe, on holidays or those who simply hate waiting for polish to dry! Thanks to the new brush, the polish glides on easily so application is simple. What’s the secret? The innovative formula specially developed for essence. It unites particularly intensive, long-lasting color and shine effects with an extremely short drying time for perfect nail polish results. Of course, it does not contain any harmful ingredients such as formaldehyde, toluene and emollient phthalate. Thanks to the new patented professional brush, application is easier and more fun than ever before: the quick & easy brush consists of two nylon brushes positioned close together. This way, the brush can capture much more color and the rounded edges of the applicator brush distribute the nail polish on your nails even faster, more accurately and smoothly without any streaks. 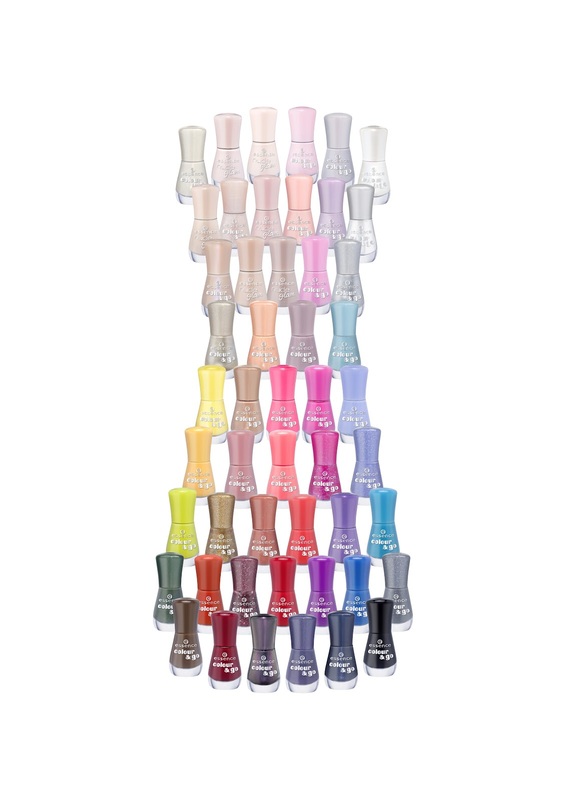 The packaging is also new: the 8ml bottle in a cool essence design has even more content – with the usual color-coded lid that is perfectly in line with the color of the respective nail polish. With an incredibly large selection of breathtaking colors – from cheerful bright shades to classic red and dark, almost black nuances as well as shimmering or metallic effects - essence will be introducing these unique nail polishes in the standard range at the usual low price in the fall/winter season of 2012/2013. 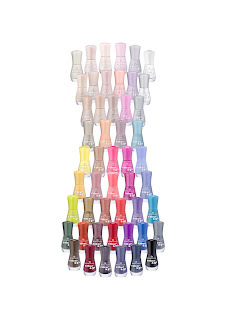 What do you think guys, do you like the new nail polish bottle design?